Since the 1980s, the Swedish-born, German artist – a veritable globetrotter, who has lived for extended periods in both Japan and the United States – has been silently creating various trends within the contemporary art scenes at home and abroad. Transparency and ambiguity, tension and balance, lights and projectors, photographs and videos, drawings on carbon paper and cellophane, as well as actions and interventions involving cuisine and fashion, have all become trademarks of sorts. "THE RED LINE" reveals how Jårg Geismar transforms his inspiration taken from daily life and journeys into local neighborhoods around the world into his own unique and thought-provoking art. Geismar takes the viewer on a virtual journey into the self and helps to decode the often convoluted world that surrounds us. 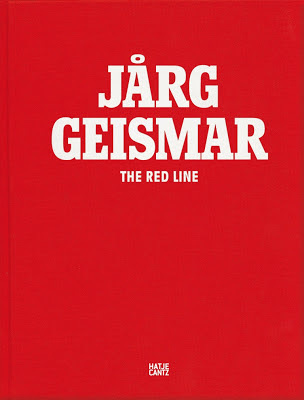 You can purchase at Hatje Cantz, amazon or with Jårg Geismar.